Read everything about a professional ear lobe correction now! In addition to the treatment of sticking-out ears, ear lobe correction is also part of the aesthetic otoplastic surgery. Ear lobes can look different than what is desired. They can be too big or have a special shape. An ear lobe can also tear because of an earring accident. A few months after the ear lobe correction, the scar of the surgery is strong enough to be pierced again. 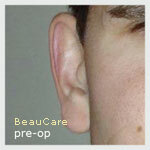 The ear lobe correction is done under local anaesthesia. You can immediately go home after the surgery. 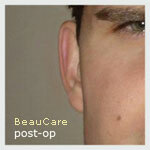 Unlike otoplasty, you generally do not need to wear a head bandage after an ear lobe correction. A pressure dressing will be put to reduce bleeding. The area is to be kept dry.